(AP) CINCINNATI - Delta Air Lines (DAL) said Friday that it will close its shrunken, 35-year-old regional carrier Comair at the end of September as it switches more of its flying to bigger jets. Operating regional carriers has become more expensive while customers have been demanding roomier planes. Comair, which has slashed its fleet, flights and workforce in the last seven years, operates mostly 50-seat regional jets, which Delta doesn't want to fly any more. Comair represents only about 1 percent of Delta's flying, so the closure won't result in significant changes to Delta's network. Delta also said it won't result in fewer flights out of Comair's base at Cincinnati/Northern Kentucky International Airport. Besides Cincinnati, Comair also has hubs in Detroit and New York's JFK and LaGuardia airports. Comair was founded in 1977, flying three propeller-driven Piper Navajo aircraft. It started operating as Delta Connection in 1984. Comair helped pioneer the regional jet area when it began flying Bombardier CRJ regional jets in 1993. The regional airline is down to 290 flights a day and 1,700 employees. More than 1,000 of the Comair employees are in the Cincinnati/northern Kentucky region. 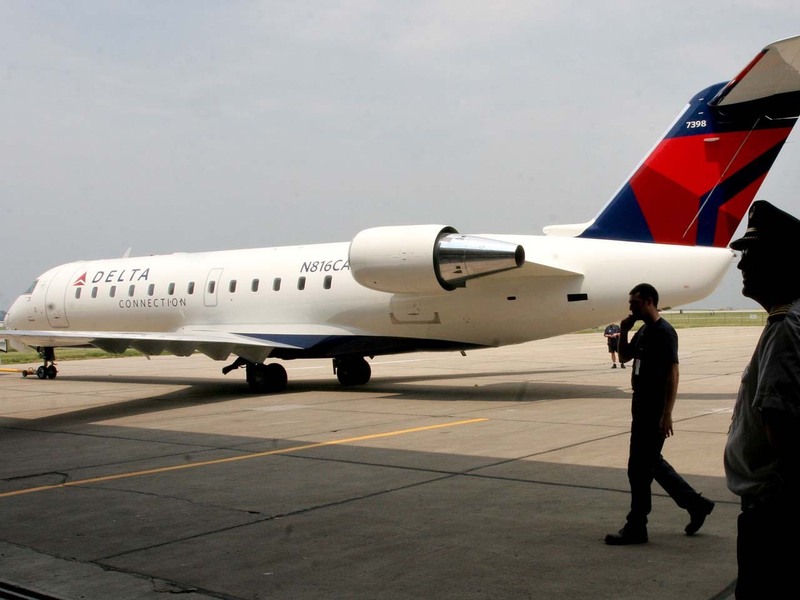 Delta sold its other regional airlines - Compass and Mesaba - in 2010, and had said it was interested in selling Comair. Those carriers still run flights for Delta, as do several other companies. Shares of Delta Air Lines Inc. rose 4 cents to $9.45 in morning trading Friday.